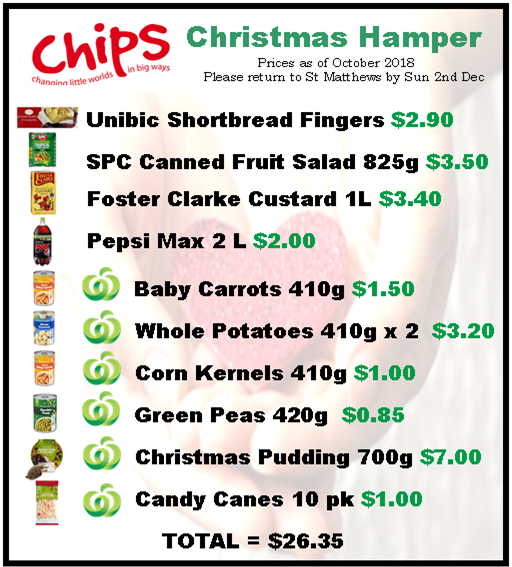 The festive season has begun, which means it is time gather our CHIPS’ Christmas Hampers. These Hampers will go to the families that attended the CHIPS Life Gets Better camps in 2018 as well as some other families identified by local primary schools as being in need. 1. You can pledge a dollar amount towards an item (or items) and follow the prompts. To reveal the bank account details the security PIN is 3806. Once we have received your financial contribution, we will then purchase the items on your behalf. Please use the Bank REF (eg: HAMPERS; BONBONS; HAMS, etc) associated with your contribution. 2. 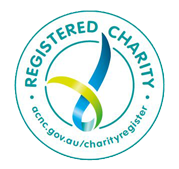 You can pledge a dollar amount towards an item (or items), purchase the items yourself (shopping list) and then deliver them to the CHIPS office (27 Ashfield Dr, Berwick) no later than Monday 2nd December. Either way, please make a pledge (so we can keep a track of how many items have been purchased) at CHIPS’ gift registry by clicking on View our Gift Registry. Any contribution will be greatly appreciated by the families who receive the hampers the week before Christmas. Thank you so much for partnering with CHIPS, as together we can “change little worlds in BIG ways”!